The minute we leave full time or even part time education, there is a wave of pressure on us to figure out what we want to do next. There is, even more, pressure for those who have decided to change career paths. While they’re full of passion and enthusiasm, a lot of people just don’t know what to do or where to start in this new professional journey. This article will give you some tips on how to market yourself and boost your professional profile. Based on experience and conversations with professional networkers, I realized that for young professionals, the concept of networking can be incredibly daunting. But, networking is a major part of any field of work. For employers, colleagues, and peers to respect and get to know you, a fair amount of communication is needed. We are often taught extensively how to apply for jobs, how to write up an impeccable CV, but we are not often taught how to conduct ourselves and how to manage our mindset in order to go into a meeting or a networking setting with confidence. So this is something I learned and it proved to be very essential: never enter a gathering feeling like you are in need to gain something from it, or that you are inferior to anyone else. What this does is subtly contribute to your changing level of self-respect, self-preservation, and self-worth. By seeing everyone in the room as someone who has something more to offer you than you do for them, means you are not internalizing a basic fundamental concept of our deen which is to look at each other with equality. Allah created humans equally, but society attributes more value to humans based on their monetary worth, popularity, and/or beauty. By adjusting your mindset, you’ll be able to believe in your own worth and capabilities, you’ll understand that your value or worth is not based on the changing societal norms, but purely from Allah who dignified all human beings. Through this reassurance you will gain access to your own skill set and talents, and furthermore enter any situation knowing you have something special to offer others, which in turn will heighten your level of confidence. If you see networking as a collaboration, as opposed to someone doing you a favor, it will no longer be a burden, more importantly, you will be treated with respect as a peer, regardless of your age. Our religion does not call for respect of each other merely based on age or profession; respect is for everyone, and some of the most accomplished and respected companions of the Prophet were as young as what we call today teenagers. Often when making a new LinkedIn account, many people are slightly apprehensive about sharing too much about their career or academic history. Particularly since often, on a platform like this, it can very easily become a public space to be compared to other competitors in your field. The thing is, headhunters, employers, and peers are on there to see what YOU may have to offer that they don’t. Tailoring your account to portray how your experience can in some way link back to your choice of career, is helpful. Holding back, and being shy about the work you have not done, or even the work you have will only serve to become an obstacle for potential employers or peers you are interested in connecting with, to know more about you. Be proud of where you are, what you have achieved up to this point, and remember to draw on every experience whether it is a weekend spent volunteering for a local shelter, or a publication you have written for place importance in the little things. Ultimately filling the gaps in a loquacious way helps others to understand how you have spent your time up to where you are today. Something you should carry with pride that every step you took to get to this moment, was ordained by Allah , and there is huge value in that. It seems like a straightforward piece of advice, but you will be surprised how many great accounts are let down by their picture game. There are around 467 million LinkedIn users today, 106 million monthly active users spanning over 200 countries and profiles with photos get 21 times more profile views than someone without one. There are books, Youtube videos, and articles available highlighting the importance of marketing yourself in today’s age. Remember marketing and selling yourself are two completely different things. Knowing that a high-quality respectable image can actually serve to do half of the work, as we know an image can speak a thousand words, investing in a great one can save a lot of time. Any PR or marketing team will always draw focus upon the branding, the image you pick is a huge part of how you brand yourself. Make sure the quality of your image is high, you can use an iPhone camera that can create the effect of a blurred background (the iPhone x is equipped with this feature). Ensure the sharp focus is on you, as you are the subject of the image, or alternatively, finding photographers on Instagram with a small following. They will be more accessible, remember you are creating collaborations in everything that you do, reaching out and asking them to take your picture for your professional or social profiles, can also be used to help them build their portfolio, therefore making it a shared endeavor. This also helps to build your networks with people in various fields, in a very organic way. Look comfortable with yourself, if you are wearing clothes that you feel stiff and uncomfortable in, this will translate, ensure YOU are comfortable as in turn that makes US (the ones viewing your profile) feel comfortable too. Make sure you are smiling to showcase that you are in fact a pleasant human being to work with. It is also the Sunnah of the Prophet , which will place more barakah in your endeavors. Sit down and think, draw on your strengths and skills that Allah blessed you with. Have confidence in them, and ensure you cover all areas of your Linkedin page. The website itself offers widgets that can be found in the corner of the page as a reminder to cover all areas such as skills, academic background, work experience and so on. The first thing your potential colleagues, peers, and employers will see is your image, your bio section, and your current job position. There are split opinions, about what the job seeker should write in the bio if they are looking for a job. Some would suggest being explicit and stating “seeking opportunities in…” which has been proven to help headhunters rule out other candidates. However, from my personal experience, naturally, people are drawn to someone who is quietly confident in their field. The opportunity seems to come more towards those who seem like they don’t need it, but rather would value it. Just like how in a networking setting, it is best to make a good impression, make your introduction in a way that allows the person to see what you’re about and have to offer, without you having to seem like you are at the mercy of these peers. So stating the field you are in, and perhaps stating your interests help viewers of your profile gauge your areas of interest. With this, you will find that you will be treated as a peer, however, some employers may not know you are looking for a job, therefore you must be hands-on, and proactive about seeking the right employers yourself. InMail messages are sent directly to another LinkedIn member you are not connected to. This is normally great when there is a public figure who may have too many connections, to get access to them through the regular route. If you have a basic (free) account, you must upgrade to a Premium account to use InMail. You receive a specific number of InMail credits based on your subscription type. This way reaching those who inspire you is a lot more feasible. 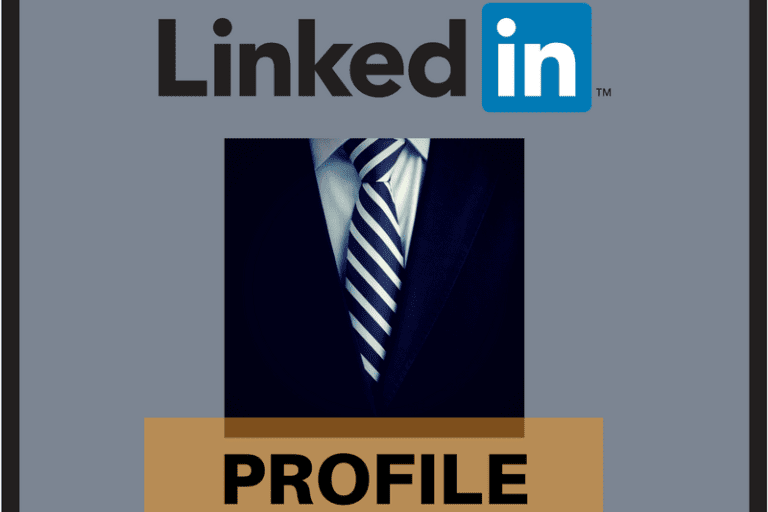 It has been noted that there is a 13x increase in profile views for LinkedIn members that list skills on their profiles. With 92% of B2B Marketers leveraging their Linkedin on all other social platforms, it seems that’s a great way for more of your networks to reach out. Know your audience, according to statistics there are 57% male users and 44% female users on Linkedin. With Microsoft offering to pay 26.2 billion dollars to buy Linkedin, it is very clear how influential the app and website have become. There is also over 3 million active job listings on the platform, therefore do not shy away thinking there aren’t enough jobs for all of these users. From March 2016, 27% of users had between 500 to 999 first degree connections, that is an awful lot of connections. A colleague of mine recently told me she doesn’t think it’s important necessarily to make these online connections. I think it really does, I told her it is kind of like getting all the business cards you have ever been given and putting them all in one box all neatly organized, and then texting each person in that box and establishing contact with them. Now imagine that box was online, I see LinkedIn as a place to keep all of the contacts you have ever made, and desire to make, in your back pocket, you will never lose touch, you will update each other about the things you are passionate about with the status option, and establish bonds. When you think of it like that, you’ll be able to make the best use of it. The whole point of being on LinkedIn is to expand your professional network. Taking time out to build networking strategies for any professional or social media profile can have huge benefits in the long run. Learning to map out figures in the field of work you are interested in engaging with can really help propel you into the right circles. Once you are able to source the experienced professionals in your field and build connections with them, an algorithm will form, creating more opportunities for you to connect with individuals that fall under the same bracket or category. Such as employees working for a particular company like Google, or peers interested in/ working within the field of Startups and NGOs. Building connections with like-minded individuals is a positive action to take for your outlook, as it will help inspire you towards projects and ideas. Remember you are not connecting for the sake of having connections, each human being is valuable, and possess qualities that Allah destined to be on your path, therefore seeing the connecting process as an opportunity to be inspired through the great qualities in others will help you remember quality, not quantity. This said, there is some kind of notoriety that comes with reaching the 500 plus mark on Linkedin that serves to grant the user with a little more leverage. It’s great to build up your network to help others know how well connected you are, but bare in mind this should not be the sole reason for your network strategy mapping. Correct your intention and actively ask Allah to help you connect with the right people who possess the knowledge, qualities, and skills that will propel you into the job you are looking for. Linking our job or career to Allah isn’t something we often think about; we seem to disconnect from the reality that our relationship with Allah is holistic and all-encompassing in our lives. The spiritual side of our religion is not only about walking away from our desks briefly to pray in a quiet room. Everything we do, from the minute our eyes open each morning, to the seconds we spend thinking, the peculiar set of thoughts that suddenly erupt, to the people we bump into…etc, none of this is coincidental, it is all ordained and allowed to occur by the will of Allah . Therefore you need to think more meaningfully about every connection you make and every idea you have and your own career aspirations in light of your purpose in life and your destination afterlife. If this is the case, and Allah is the priority, everything will fall right into place. You’ll be able to see that everything happens for a reason. Perhaps there will come a time in the future where your very presence in the workplace of your choice becomes a means for you to attain great rewards from Him . Or more than that, sometimes our purpose isn’t so grandiose and majestic as to change the world, sometimes Allah provides us with a safe sanctuary, a place that we need to be in order to learn things, to change, grow, and evolve, it can be a place in which you live “a mediocre” existence by societies standards, but it’s, in fact, a place in which you find great internal peace, and consequentially are able to glorify Allah in a way you may not be able to in any other place. A huge part of our religion is placed on perfecting one’s manner and character. Having good manners is often referenced as a hugely pivotal aspect of the day to day dealings in our workplaces, and is almost always referenced with regards to business. Business etiquettes, such as learning more about the culture of the person you are about to go into business with actually serves to bring about a stronger rapport, and mutual respect between colleagues and business partners. By just mirroring the sunnah in various key areas of our lives, such as making sure we look presentable, not speaking ill of others, returning a bad word with a good one, being patient and working hard when we are faced with an obstacle, all of this can boost our own professional profile online and offline. Reflecting the Prophet’s way of conduct is the perfect example to follow that can help you personally and also make everyone comfortable dealing with you. One gem from the sunnah that really touches me, for example, is how the Prophet Muhammad never removed his hand from a handshake before the other person did the same. He always made the other person feel valued and appreciated and welcomed. This can be translated to the online space as well. We may justify being lax with responses, or returning a polite word with a good word because it is done virtually. But this should not be an excuse, we must translate etiquette and manners to the online space, such as thanking a person for connecting on Linkedin. Introducing yourself, without arrogance, treating each human with respect and integrity. All of these elements require us to constantly return to our intention and renew it. These are only some tips; do you have more tips to boost one’s professional profile and link success in this life with the next as well? Share with us in the comments.